Measure 3-4 Cups. Eliminate the hassle of measuring enough tea for a perfect pot serving tea for 3-4. 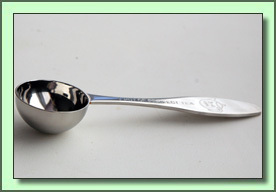 1 Scoop with this spoon and you have the perfect measure!